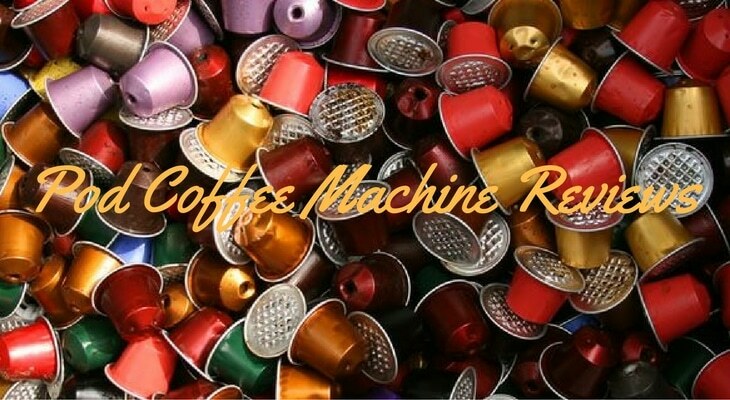 Capsule coffee machines are a perfect choice for those who want to enjoy the exquisite taste of freshly brewed coffee but are not willing to spend too much time on making it with all the bells and whistles. Not only will a pod machine prepare a cup of your favourite drink in less than a minute, but it will also eliminate any kind of mess. Just recollect, how many times have you occasionally spilt ground coffee or beans, when you were in a hurry? Luckily, you will not face cleaning your table from brown spots, if you buy one of the best capsule coffee systems. All you have to do is to insert a tiny sealed pod, disk or capsule of coffee into the machine and get out a fragrant espresso. 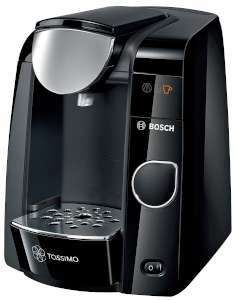 Bosch Tassimo Vivy may not be the very best pod coffee machine, but it has a number of undeniable advantages. Firstly, it fits the smallest of spaces thanks to its tiny design. 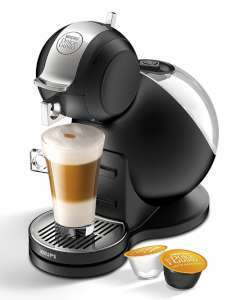 Secondly, it allows you to enjoy over 35 drinks that can be prepared easily with the help of pressing the button. There is no heat up time after you switch it on, so you get the drinks right away. It is especially convenient to use this pod machine because it cleans itself automatically. You will definitely have a user-friendly experience with Bosch Tassimo Vivy. Full Tassimo review here! This pod machine has an elegant and a compact design to fit even the smallest kitchen space. 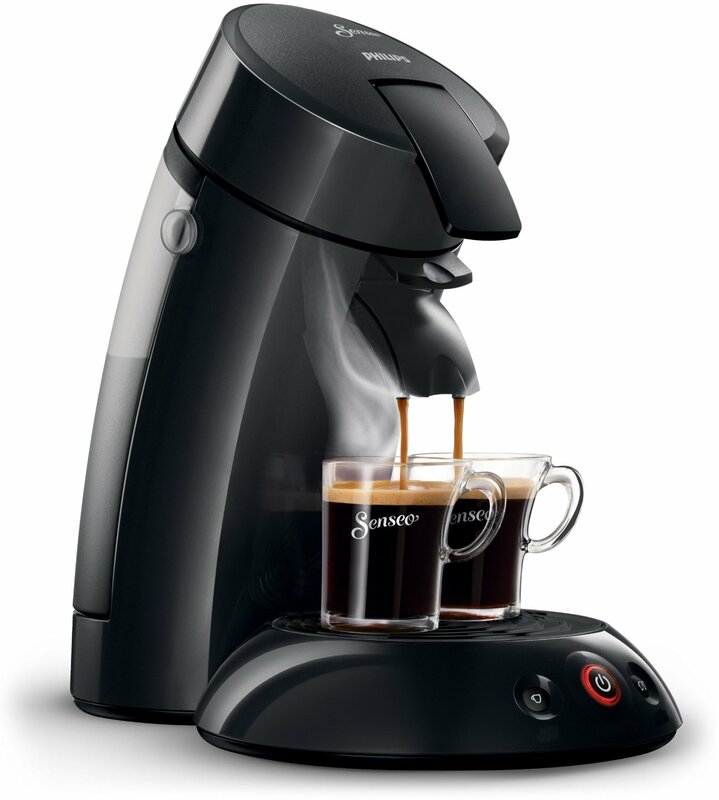 It has a powerful 19 bar high-performance pump and a state-of-the-art one-touch control system with 2 programmable buttons, Espresso and Lungo. There is also a folding drip tray for Latte Macchiato preparation. Just pull up a lever, slip in a coffee pod and press the button. 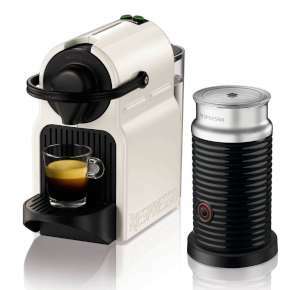 It will take Nestl﻿﻿e Nespresso Inissia only 25 seconds to prepare a wonderful espresso. The machine is made of 23.4% recycled plastic. 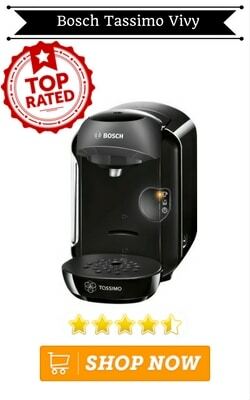 Bosch Tassimo Joy has a set of options that make it probably the best pod coffee machine for those who like different coffee types. There is a rich variety of more than 40 drinks from such famous brands as Costa, Kenco, Carte Noir, Cadbury and Oreo, as well as of Twining’s teas. A state-of-the-art barcode technology is used by the intelibrew system to identify the beverage selected. Tassimo t-discs will allow you to enjoy a vast number of drinks. 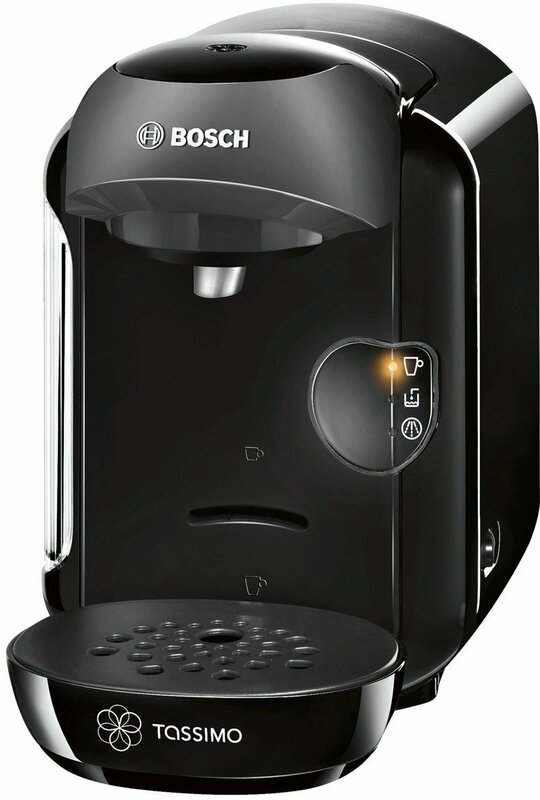 All you need to do is to press a button once to activate an automatic system, and your hot beverage is ready! Brew ristretto, cappuccino, latte, espresso or a hot milk and do not worry about the refill – you do not have to do it every time thanks to the large removable 1.4 L water tank. Being one of the best capsule coffee systems, Philips Senseo allows you to make perfect drinks thanks to the unique Senseo brewing system. Enjoy a wonderful delicious crema layer on top of your fragrant coffee! One-button operation will help you to get 1 and even 2 cups of coffee quickly and easily. There is also a manual brew stop for you to interrupt the brewing cycle at any time. The machine will switch off automatically after 30 minutes to save energy. Krups Nescafe Melody 3 has an intuitive interface and is really easy to use. Despite its space-saving design, this machine is very powerful and produces coffee with an amazing rich taste, no worse than in a coffee shop. It is a 15 bar pump pressure that ensures such a high quality. You should only use only pods that are made for this model (available in supermarkets and online). You can choose a black, red or ivory, so you should find one to match your kitchen. It would be hard to overestimate the advantages of capsule coffee machines. They are such an attractive offer because they are really quick, clean and are often less expensive than the traditional coffee machines. Just imagine your ideal morning: no waiting, no mess, just a cup of a wonderfully brewed coffee to start your great day. Your best pod coffee machine is already waiting for you, so select the one that you like most.